Stunning landscapes distinguish the heritage character of Rockcliffe Park. 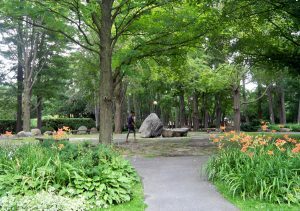 These include such features as McKay Lake, The Pond, a profusion of trees, hedges and shrubs on public and private property, open parkland including the Centennial Gardens of the Village Green and the more intimate spaces of the Jubilee Garden, winding roads and generous spacing around houses. 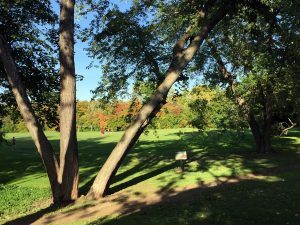 The Rockcliffe Park Heritage Plan encourages residents to plant and maintain trees on their private property, as trees are an essential part of the Village’s park-like ambience. Trees on the verges of roadways are City property and are cared for by the City’s Forestry Services. The width of the verges may vary from five to twenty-five feet. 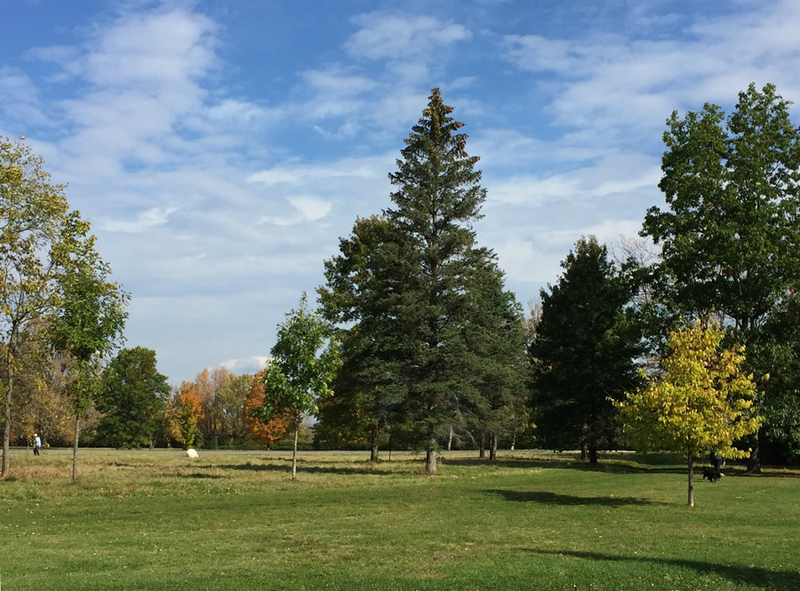 Before planting trees on the verge, please consult the City at 311 to obtain the required permission from Forestry Services. Residents are encouraged to maintain native biodiversity on their own property by planting trees and shrubs native to the Ottawa Valley region. Click here to consult the list of native trees and shrubs. On corner lots, the heights of hedges, fences and gates built on the lot lines and within 40 feet of the corner are restricted. Fence height is controlled by a city by-law. For information on permissible fence heights, consult the Heritage Conservation District Plan. Please maintain the roadside verges in front of your house, cutting the grass and raking the leaves. Also, be careful not to damage the bark of trees planted near the roadway. Young trees will die if their bark is damaged by cord-type grass-trimmers or lawnmowers. 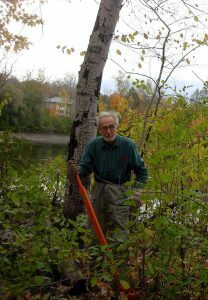 The Environment Committee works with residents to control invasive species, such as Dog-strangling Vine, Garlic Mustard, Common and Glossy Buckthorn, Japanese Knotweed, Yellow Archangel and Norway Maple. 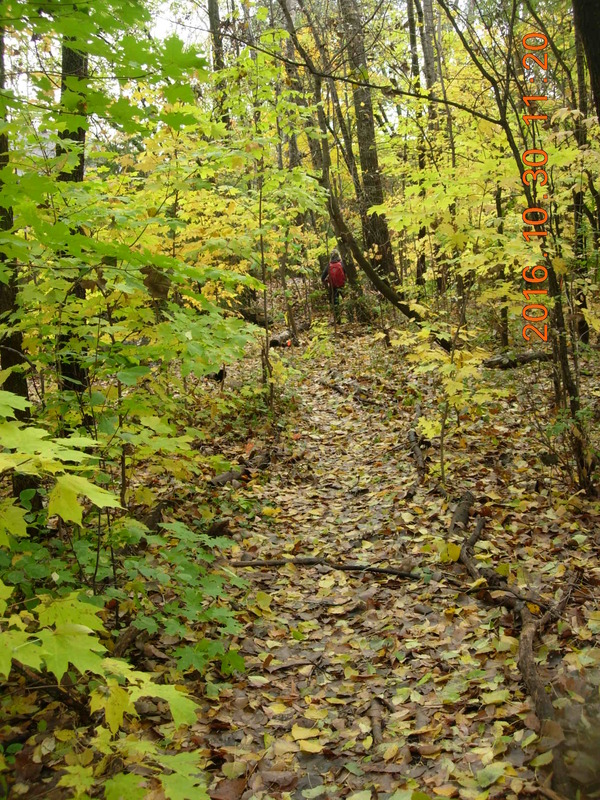 Committee volunteers actively control these plants in the Caldwell-Carver Conservation Area and are removing Garlic Mustard and Norway Maples from the area around the Library and Community Hall. Residents are asked to remove these invasive plants from their own properties and to email environment@rockcliffepark.ca if you think you might have one of these plants in your garden. For more information about these and other invasive trees, shrubs and escaped garden plants, see the Ontario Invasive Plant Council’s Grow Me Instead booklet. The RPRA’s Environment Committee encourages everyone to use an organic method of weed and pest control and not use herbicides and other pesticides on lawns and gardens. 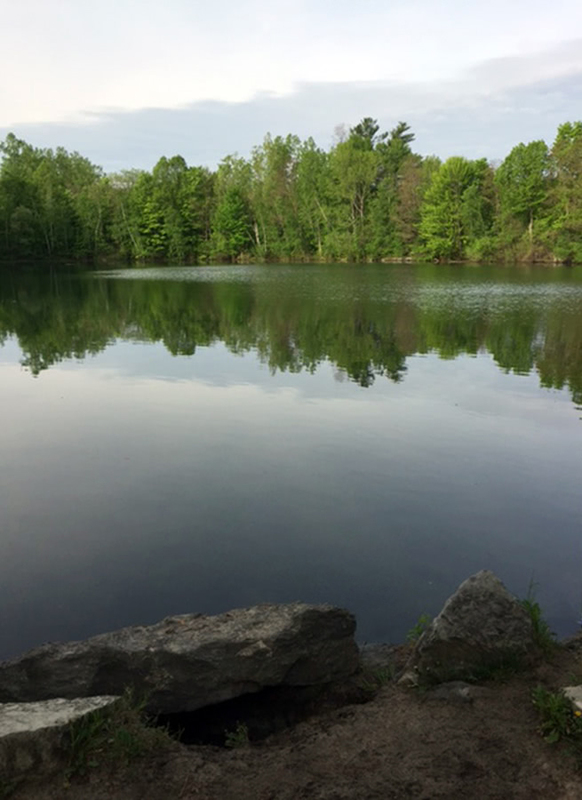 The groundwater infiltration of chemical fertilizers is affecting water quality in the Pond by altering the nutrient balance of the water and encouraging the growth of algae and other water weeds. 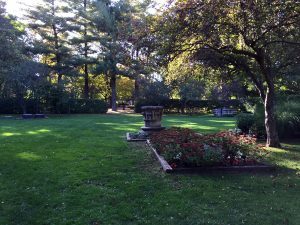 To preserve these bodies of water, the Environment Committee promotes the use of organic compost or lawn clippings rather than chemicals to fertilize lawns and gardens. 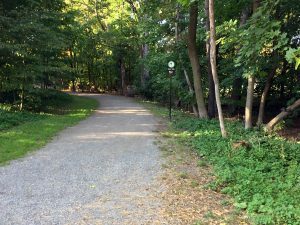 As the Village’s Centennial project in 1967, Village architects Humphrey Carver, Andrew Hazeland and Don Graham transformed the area north of Mariposa Avenue and east of Springfield Road from a vacant area into the Village Green. The two parts of the Village Green include the Jubilee Garden to the East (a formal square) and the Centennial Garden to the West (designed as a circle), with the two parts separated by a cedar hedge. Carver, Hazeland and Graham embellished a grove of Black Locust trees and created a central stone circle from glacial boulders on the site, surrounded by concentric rings of flagstone paving, benches and sugar maples. This work of art is an excellent example of Modern Landscape Architecture and has heritage significance. 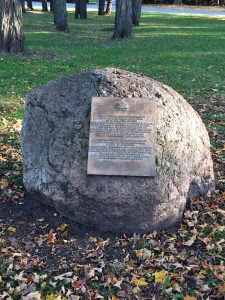 To celebrate the Queen’s Silver Jubilee, the site of the former lawn-bowling green beside the Village Green became in 1977 the Jubilee Garden. 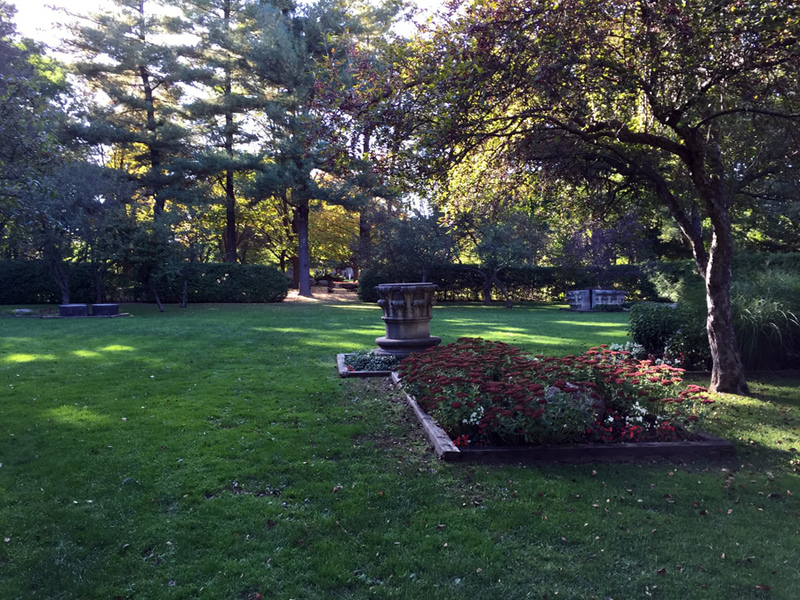 Village landscape architect, Humphrey Carver designed this formal public garden in the heart of the Village. 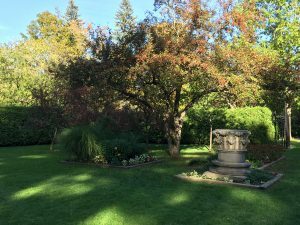 In the Garden he situated sections of the Corinthian columns that were once part of the classical portico of the old Carnegie Public Library that was on Metcalfe Street at the corner of Laurier Avenue. Other sections – a column and other carved stones – can be found in the National Capital Commission’s Rockeries adjacent to the Village. These lovely Corinthian columns graced the original Ottawa Carnegie Library, which Carnegie himself opened and dedicated in 1906. Ottawa’s library was the only one in Canada to have been opened by him. The old library was demolished in 1973 to make way for a newer, larger and modern library. 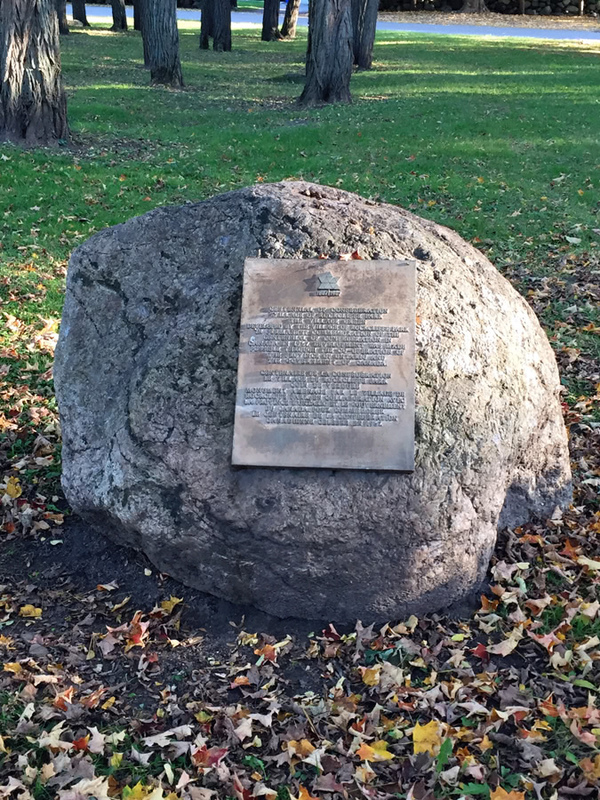 Humphrey Carver, one of Canada’s most noted urban planning theorists, and designer of the Rockcliffe Park Village Green and Jubilee Garden, rescued the stones and positioned them in the Jubilee Garden. Thomas and Susan d’Aquino provided major funding for the picturesque Jubilee Pavilion. The Jubilee Garden is a welcoming space for quiet walks and conversation and Village events, such as croquet, movie nights and figure skating. It may be rented for private functions such as wedding receptions. The Pavilion includes a kitchenette, serving area and washroom. 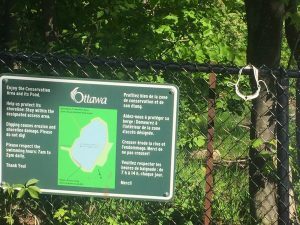 For bookings, contact the City of Ottawa’s Recreation Coordinator at the Community Police Centre or at rockcliffe@ottawa.ca. 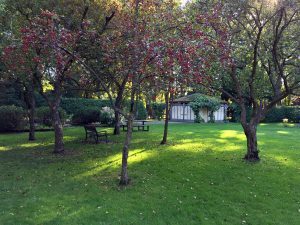 The Rockeries, owned and maintained by the National Capital Commission, is a public park with paths and gardens, ideal for strolling, jogging, walking the dog and admiring the beautiful display of tulips and daffodils in spring. The Soper fountain with its original five putti was moved from the grounds of Lornado, home of Warren Soper, to the Rockeries in 1960. 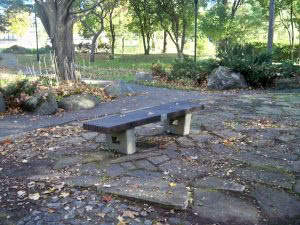 This area, alongside Sandridge, is owned and maintained by the National Capital Commission. 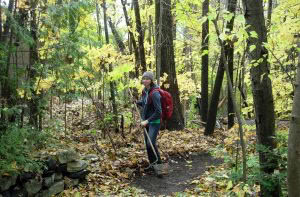 It’s primarily used for dog walking and cross-country skiing in winter. 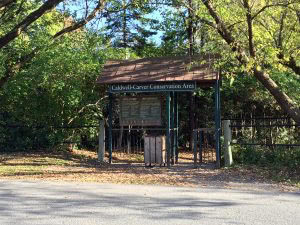 The Caldwell-Carver Conservation Area includes McKay Lake, the Pond and Corridor of Public Passage (COPP) foot-paths around the eastern shore of McKay Lake and the Pond. 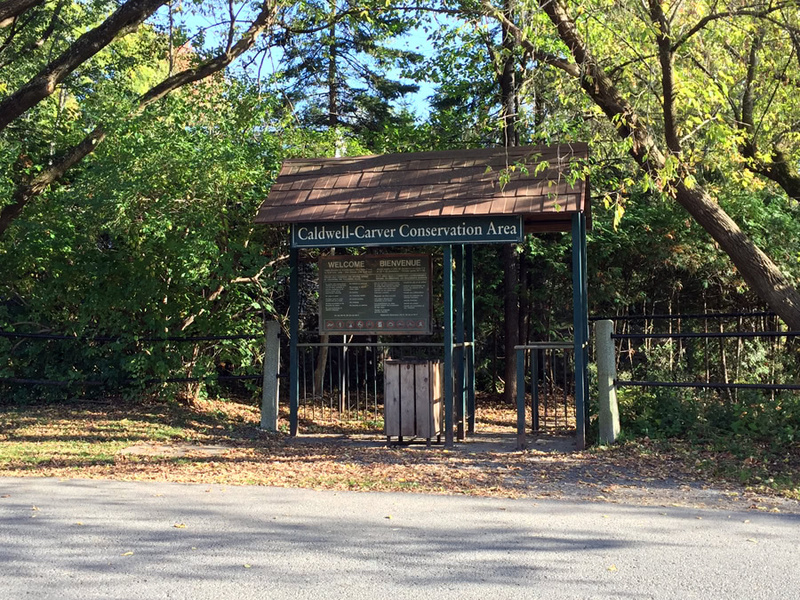 The Conservation Area was named in honour of two long-time residents Ewan Caldwell and Humphrey Carver who were active in environmental work and who planned the restoration, after damage caused in the late 1960s and early 1970s, to the eastern shoreline of the lake and to the bird and fish habitat. A Management Plan, commissioned by the former Village Council, guides the city and residents’ activities there. 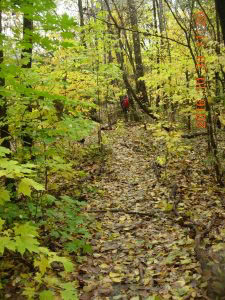 Current restoration projects include removal of invasive plants and trail marking and management. 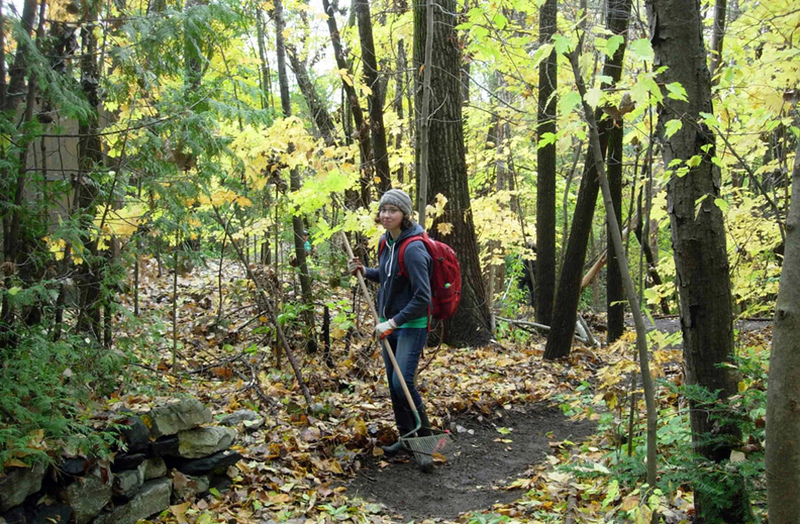 Students may earn volunteer hours by helping in this restoration work (watch the newsletter or email environment@rockcliffepark.ca to volunteer). Adult volunteers are also welcome. 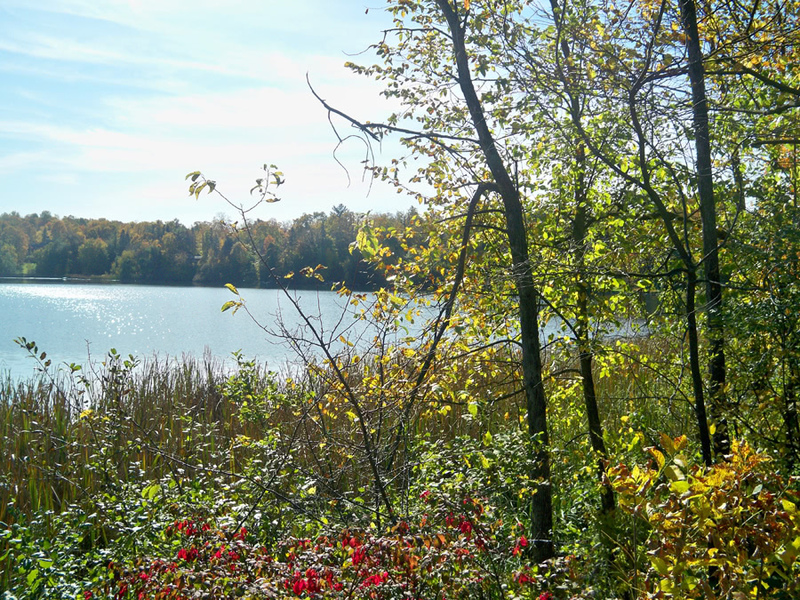 The area of McKay Lake and the Pond is now Urban Natural Area No. 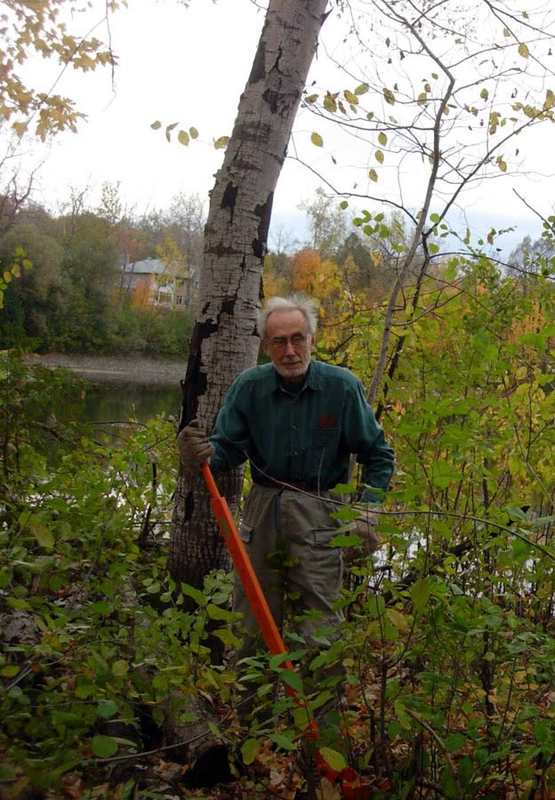 176 in the city’s inventory of ecologically valuable places. 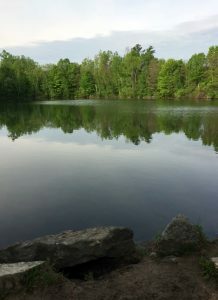 McKay Lake (formerly Hemlock Lake) is a natural spring-fed lake. 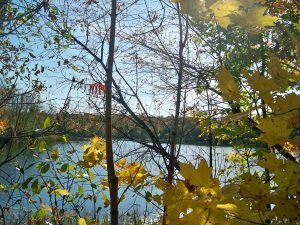 The Corridor of Public Passage’s (COPP) foot-paths around the eastern shore of McKay Lake and the Pond wind through the Conservation Area. 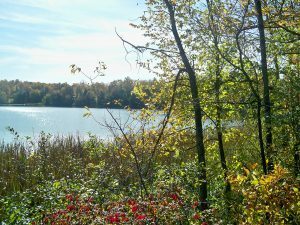 The lake and pond are home to a wide range of birds, fish, frogs and turtles; an otter periodically takes up residence and muskrats once inhabited the marsh area of the lake. 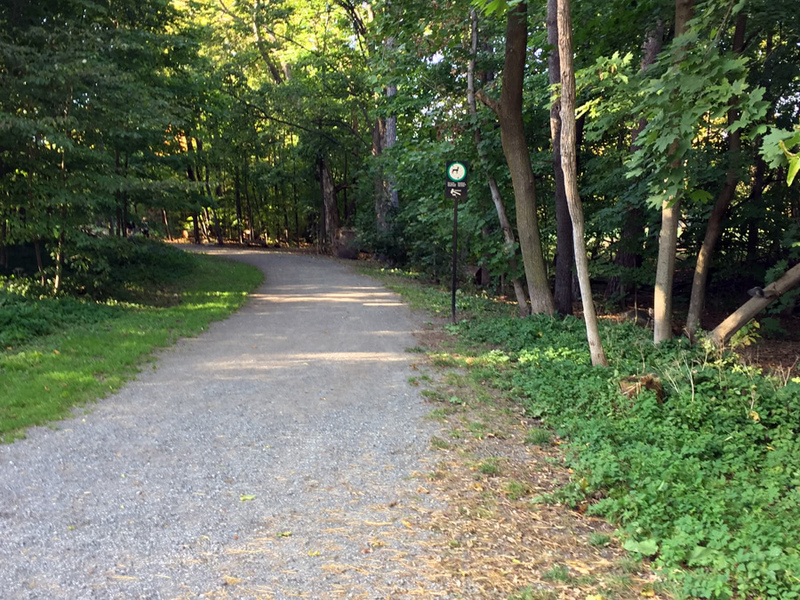 On the west side of McKay Lake, joining the north and south parts of Lansdowne Road, is a walking path locally called the Dog Walk. The shoreline on this side of the Lake is private property. 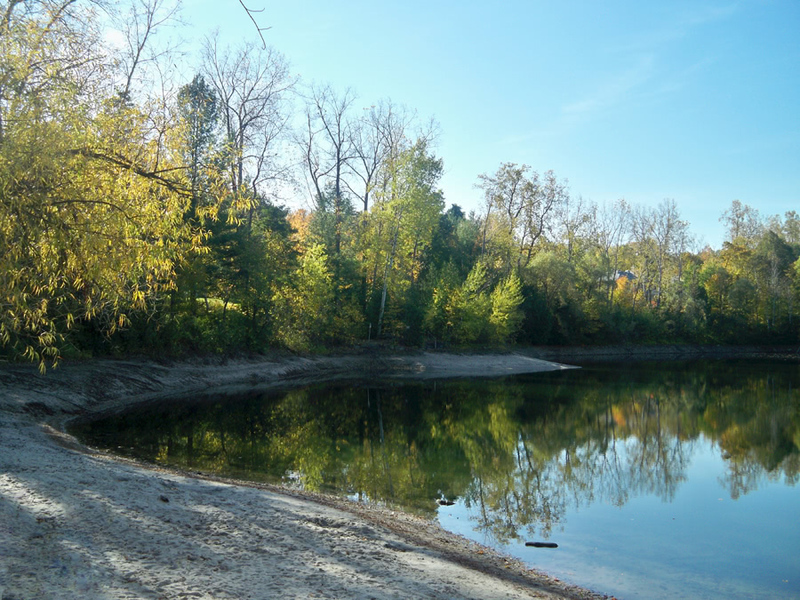 The Pond, just south of McKay Lake, was originally a sand and gravel pit, excavated over the period 1890 to 1949. The Sandpits, as it was called then, filled with water over time. Even during the time of sand extraction, it was a popular swimming hole. 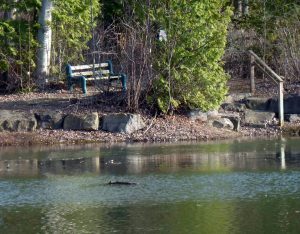 The Pond is a conservation area. Swimming in the Pond is therefore limited to 7 am to 2 pm. Student monitors patrol the area during summer months to ensure that swimming hours are observed and thereby protect the conservation area as a habitat for a variety of wild species. 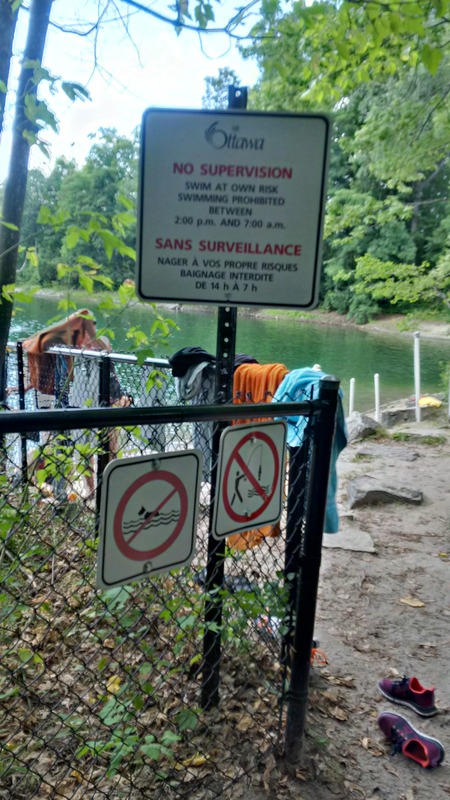 There is no public swimming in McKay Lake also to protect the conservation area; swimming from private docks is by invitation of the owners only. 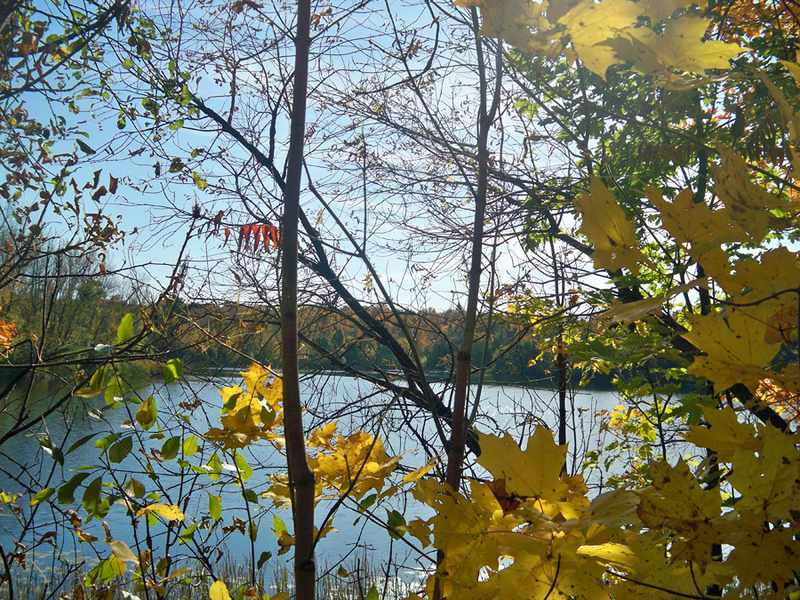 While enjoying the Pond, please help protect and rehabilitate its shoreline. 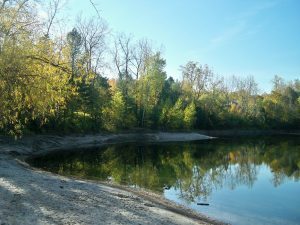 Please stay within the designated access area to reduce erosion and please do not dig in the sand to limit erosion and protect the shoreline.